Your mighty source for all things Marmot related. 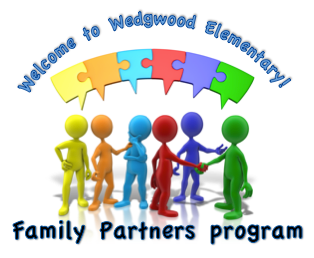 The Family Partners Program welcomes families new to Wedgwood Elementary School. At the request of a new family, the program will partner them with the parent/guardian of a returning Wedgwood student. New families may request to be matched with someone who speaks their preferred language. The partner will be a resource for the parent(s)/guardian(s) of the new student(s) to go to with questions they have throughout their first year at Wedgwood. For those interested in participating in this program here is the sign up sheet form. If you have questions please e-mail Riki Stevens: rikistevens@gmail.com.